Planning a special occasion, party or work function? Booking now for parties & family, club or work functions, seven days a week. Free parking, spectators are welcome. Use of the BBQ and picnic area, bring your own food and refreshments, bake a cake and bring your balloons and party hats! Open to the public and normal entry prices apply, discounts for 20+ players. 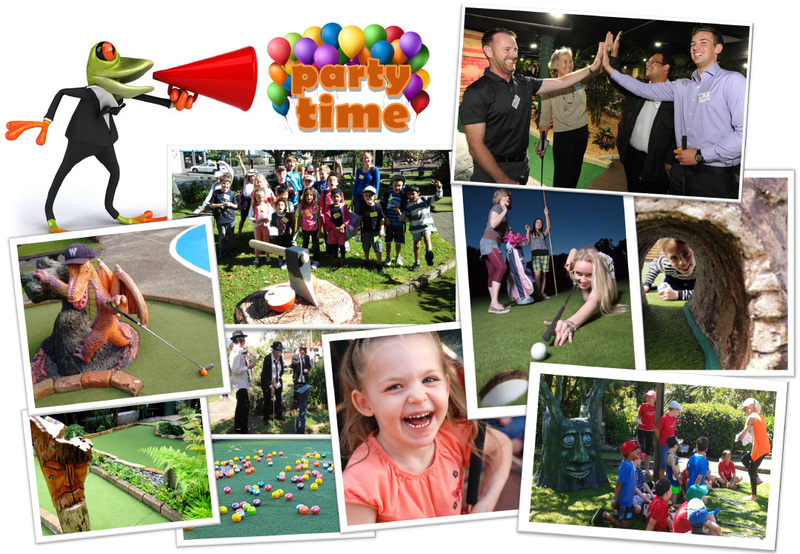 Unlimited mini golf, private use of the facilities & golf course, ONLY $18 PER PERSON! © 2015 Enchanted Forest Mini Golf. All rights reserved.